This is a sub-page of About the author. It is a socioeconomic comparison of my generation with generation X and Generation Z. 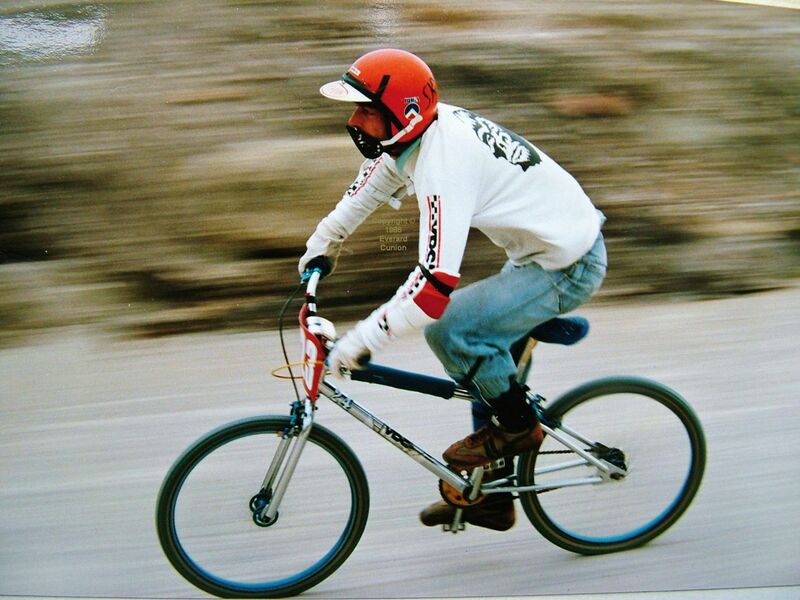 In the mid-1980s, being unemployed, I took up BMX racing. (Each race, which lasts about 45 seconds, is termed, bizarrely, a moto.) No longer able to afford to run a car, I raced only at my two local tracks, but I eventually reached national level and I won the Bournemouth Summer Series in my bike/age classification in 1985. Tim March, the gentle giant with a Billy Idol hair-do, was the club’s most famous rider. The riders were of all ages and both sexes, mostly younger than me, and it struck me how different was their outlook on the world from mine. When I was at school in about 1970, we were told that, because of the coming automation of the means of production, we were the first generation that would never have to endure a five-day working week. Young men would compete for the attentions of young women in the fields of sport, science, art, and literature. (I dismissed it as stating the obvious, but had I looked round at my classmates, surely it should have been obvious that this idea was flawed!) I was going to be an astronaut, test pilot, off-road bike champion, and — in my free time — boink all the world’s most beautiful women. However, the 18-year old BMXers could look forward only to unemployment, government schemes, or working in a shop. I came across a ‘Where are they now?’ page somewhere and it turned out that is exactly what transpired. My English teacher friend in North Carolina (in 2018) informs me that Generation Z, born around 2000, have no desire to study and they do not care about anything. Well, what have Generation Z to aim for? Working as bank clerks? (That prospect is almost as appalling as the spectre of the World War 2 fighter ace who, after demobilisation, travels in ladies’ underwear, meaning that he is a travelling salesman, made even more demeaning by the wares he is selling and the humourous implication of the wording.) Automation has, at long last, made an impact, so we don’t need any more bank clerks. Yet, the masses still cling to the religion-based idea (thoroughly endorsed by business owners) that equates male genetic quality to his value as a cog in the works of the means of production — manifested in how much he is paid. And that is how women judge men (as if their minds are controlled by capitalists, which likely they are, via the press, radio, and television). In late 2017 or early 2018 a spokesman for the right-wing pressure group the Confederation of British Industry stated in opposition to the Adam Smith Institute’s support for a ‘basic income’ that he hopes that no such thing happens in his lifetime because the man’s self image as a ‘bread winner’ who goes out to work every day (as a the bank clerk, no doubt) is essential to the meaning of life. It seems to me that somebody stopped the film of life at 1970 and rewrote the script, putting civilisation into reverse. They did so with overwhelming public support, at least in the USA and Britain. How do we fight that in a democracy? I think of myself as a socialist, but I am likely the fourth one in the room, who provides the fifth, sixth, and seventh mutually exclusive definitions of socialism. Some aspects of capitalism strike me as sensible, but those are the very things that people (including capitalists) reject. Just one example: In the Thatcher years, they decided that self-employment was the way ahead and everybody should be responsible for their own work and for generating their own income. Seemed OK to me and that’s what they all voted for. Except they wanted themselves and their immediate families to be exempt from those ‘cold winds of the free market.’ They want automatic pay rises for just turning up at work and doing the same thing, day in, day out.